The Scottish Farmer seems to be confused by the Common Grazings Crisis. 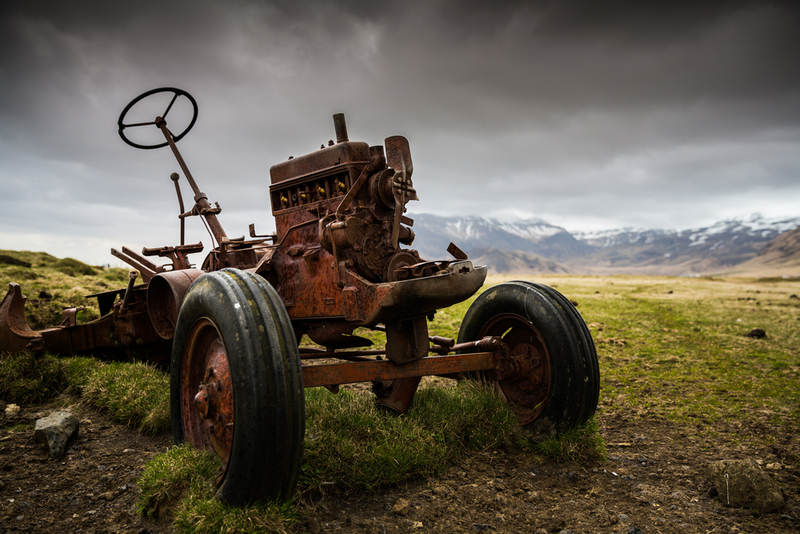 It is not an impasse between the Crofting Commission and the Scottish Crofting Federation. It is an impasse between the Crofting Commission and crofters. 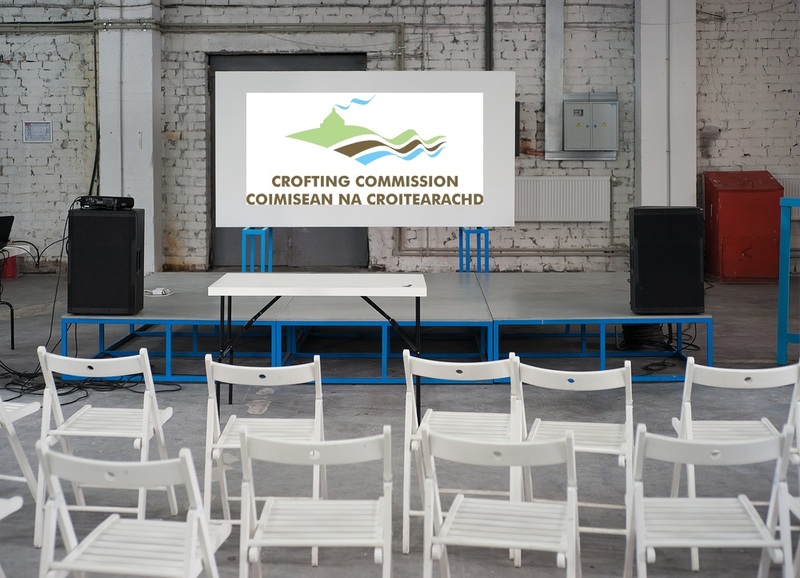 In particular the crofters directly affected by the decisions of the Crofting Commission to remove from office the members of three grazings committees. One minute the ‘findings’ of Grazings ‘Constable’ Colin Souter is front page news. The next minute they are calling him Ian Souter. The debate regarding the removal of this Ian Souter could they suggest “continue forever” as he has “support within the crofting community“. That will be 4 out of 42 shareholders! They think “the time has come for a line to be drawn and for a new Upper Coll committee to steer the way forward“. Probably not many disagreements there other than perhaps from Colin/Ian Souter and Colin Kennedy. They think that “this decision would be much better taken without government intervention“. I’m sure it would have been but time has shown that there is a clear inability on the part of the Crofting Commission to accept its wrongs. If anything in recent weeks they have been going out of their way to make matters worse with the inexplicable quest via Colin Souter to find something, anything, to justify their actions in the first place. This all on the back of the first government intervention when Fergus Ewing MSP made it clear than the government’s views were “diametrically opposed” to those held by Commission Convener, Colin Kennedy. Despite this first intervention and rebuke the Crofting Commission, with Colin Kennedy still at the helm, steered into even stormier waters clearly not heeding what Mr Ewing had told them. The result was undoubtedly going to be the need for Mr Ewing to intervene again. He did so before the latest poll from The Scottish Farmer properly got off the ground. Again Mr Ewing has told the Crofting Commission they got it wrong. This time he has asked them to “swiftly resolve” the crisis in crofting of their making. He has also told them to apologise to the crofters they have hurt so badly and the expectation is that this apology must come from Colin Kennedy. Mr Ewing has also instructed government officials to carry out a review of the governance of the Crofting Commission. Yes, it would have been better for there to have been no need for government intervention. But week upon week of the Crofting Commission making the situation worse not better has left little option but for this intervention to take place. It has been very necessary and extremely justified. I reckon that if Fergus Ewing is forced to intervene a third time (chances are that he will have to) it will be the last time he does so as by that stage heads will have to roll. Crofting Commissioners should reflect on that when deciding their next move at their board meeting in Brora on Wednesday. Hat Tip: With thanks to Donald Macsween for drawing this to my attention. This entry was posted in Common Grazings, Crofting Commission and tagged apologise, apology, Brora, Colin Kennedy, Colin Souter, Common Clearances, common grazings crisis, common grazings debacle, Convener of Crofting Commission, Crofting Commission, Crofting Commission Board, Crofting Commissioners, crofting community, crofting governance, Domhnall Macsween, Donald Macsween, Fergus Ewing, Fergus Ewing MSP, Grazings Constable, Ian Souter, inquiry, poll, Scottish Crofting Federation, Scottish Government, The Scottish Farmer, Upper Coll, Upper Coll Common Grazings, Upper Coll Common Grazings Committee on September 26, 2016 by Brian Inkster. 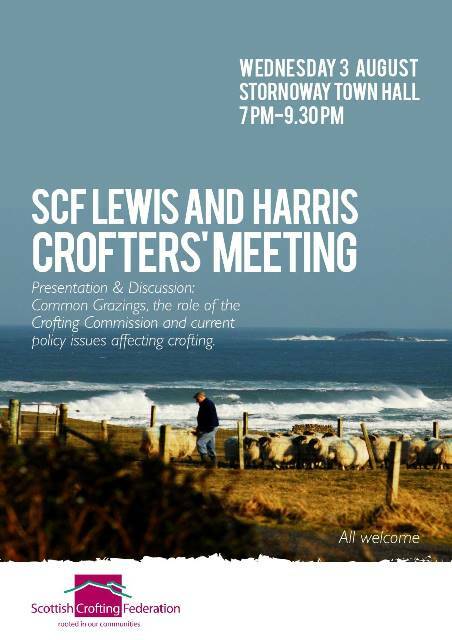 The overwhelming message that came out of the Lewis and Harris Crofters’ Meeting was that the Convener of the Crofting Commission, Colin Kennedy, must go. Over 80 people attended the meeting, organised by the Scottish Crofting Federation, in Stornoway Town Hall on 3 August. I will reproduce some of the reports of the meeting that have appeared in the media. 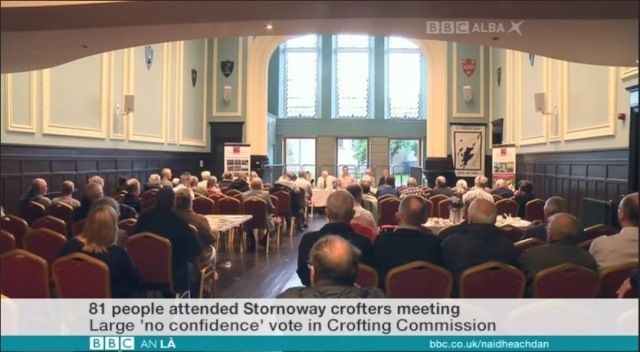 On Wednesday night, more than 80 people gathered at a meeting in the Stornoway town hall to discuss the impact of unrest/conflict between the Crofting Commission and the Grazing Committees. They put forward a vote of no confidence in the commission, and agreed that Colin Kennedy should resign from his position as the convener of the Crofting Commission. The Commission had no official representation at the meeting. The turnout tonight shows the interest in crofting, and how worried people are of the situation as it is now that they understand it. It is easy to see that people are very angry about the way in which some of the villages were dealt. They want to see how the Commission works, and how the law works, lessons to be learnt so that crofting stands in a better position. The lack of trust vote shows the feelings that are there, but at the end of the day it is up to the government what they are going to do. 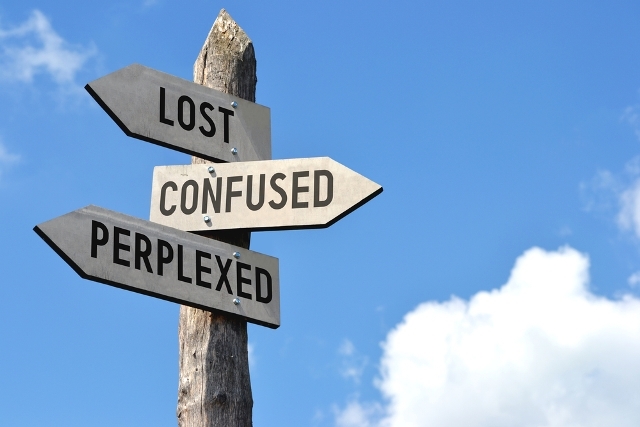 I think that the thing that worried people most, was if the people going forward were to be idle in their roles as Town Clerk , and also the Commission itself with the situation as it is now. But we hope in the coming months that people will gain confidence and be given the right guidance so that crofting can be strengthened, instead of weakened, and that the Government endeavours to make this happen, and that they won’t ruin it as people suspected they would. That was the consensus this evening. It was a loud and clear message coming out of a very lively but thoughtful discussion. This is not knee-jerk reaction; the attack on common grazings committees by the Crofting Commission has been on-going now for several months so crofters have had plenty of time to think about this. It is not surprising that there is a call for the convener of the Commission to stand down and for deposed committees to be re-instated. It is perhaps more notable that, despite what is widely regarded as very poor behaviour, the Crofting Commission is still wanted, albeit following a thorough review and improvement of procedures. I think that this is a very sensible approach. The meeting heard presentations from representatives of the removed Lewis grazings committees, SCF, Inksters Solicitors and Scottish Government, not only on the topic of the Crofting Commission but also on CAP, support to crofting and advocacy for crofting. The meeting, that sometimes became quite heated, was well-chaired by SCF member Donald MacSween. We can understand the Scottish Government’s reluctance to interfere with a majority-elected body, but the meeting was united in its view that the Scottish Government does have to intervene in this circumstance. The procedures of the Commission clearly need to be investigated and modified to stop this sort of thing happening again. The Crofting Commission may well be an ‘arms-length government body’, but the Scottish Government still has a responsibility to make sure that the Commission operates in a fair and reasonable manner – and does possess the powers to intervene, for example by removing a Commissioner, if it sees fit. this meeting has no confidence in the existing Crofting Commission and supports the SCF call for the resignation of the convener Colin Kennedy. The motion was passed by an overwhelming majority. The sense of anger at the recent actions of the Crofting Commission was laid bare at a public meeting in Stornoway last week attended by over 80 people, which delivered an overwhelming vote of no confidence in the organisation and called for the resignation of its convener Colin Kennedy…. As the meeting was drawing to a close a vote of no confidence in the existing commission was passed as well as a call for the resignation of its convener. An overwhelming majority supported the moves with only five of those present against – three of whom are the crofters in Upper Coll who raised the original complaint against the committee, including a father and son. The Crofting Commission is committed to working positively with grazings committees and crofters. At present, the Commission is undertaking an examination of the circumstances of the recent cases, so that any lessons learnt can inform future procedures and decision-making. A majority of the Crofting Commissioners are elected by crofters, with no involvement on the part of Commission staff in the process, so any consideration of their position is a matter for the individual Commissioner. It should not be forgotten that consideration of the position of Crofting Commissioners is also a matter for Scottish Ministers and I will look at that further in my next post. This entry was posted in Common Grazings, Crofting Commission and tagged BBC Naidheachdan, Colin Kennedy, Common Grazings, Common Grazings Committee, common grazings debacle, Convener of Crofting Commission, crofters, crofters meeting, crofting, Crofting Commission, Donald Macsween, Grazings Clerk, Harris, Iain Maciver, Inksters, Inksters Solicitors, Isle of Lewis, Lewis, Russell Smith, SCF, Scottish Crofting Federation, Scottish Government, Stornoway, Upper Coll, Upper Coll Common Grazings, Upper Coll Common Grazings Committee, Vice-chair of the Scottish Crofting Federation, West Highland Free Press, WHFP on August 13, 2016 by Brian Inkster. 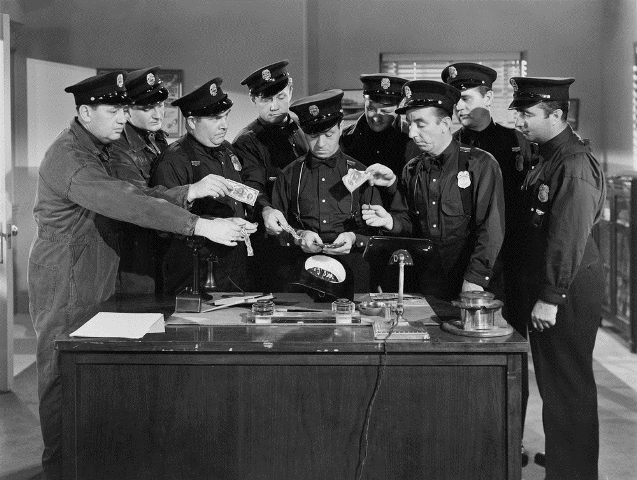 How much are Grazings Constables paid? Hey… why are you getting £30 per hour and I’m not?! In my last blog post I looked at who pays the Grazings Constables. This post will disclose how much they get paid. In comments on the Island News & Advertiser when they published a letter from Colin Souter, the grazing constable for Upper Coll (illegally appointed in my opinion and the opinion of others, including the Crofting Commission itself) it was suggested that the going rate was £30 per hour. Colin Souter disputed this figure. As that was, apparently, the figure obtained via a Freedom of Information (FOI) request in connection with the remuneration of the Mangersta Grazings Constable then perhaps different grazings constables have been paid different rates. If so then this would reveal yet more inconsistencies on the part of the Crofting Commission! Another FOI request has disclosed that as at 1 July 2016 Donald Harrison (Mangersta Grazings Constable) had been paid or was due to be paid £4,659 and Colin Souter (Upper Coll Grazing Constable) had been paid or was due to be paid £1,227.85. The Mangersta Grazings Constable had been carrying out activities (albeit illegally) much longer than the Upper Coll one at that point. Today the Mangersta Grazings Constable is no longer in ‘office’ but the Upper Coll one still purports to be and is no doubt still accepting payment for his activities despite the risks of so doing outlined by Donald Rennie. This entry was posted in Common Grazings, Crofting Commission and tagged Colin Souter, Crabbit Crofter, Crofting Commission, Donald Harrison, Donald Macsween, Donald Rennie, FOI, Freedom of Information, Grazings Constable, Grazings Constables, Island News & Advertiser, Mangersta, Mangersta Common Grazings, Upper Coll, Upper Coll Common Grazings on August 6, 2016 by Brian Inkster. Neglect of common grazings now actively being encouraged by the Crofting Regulator! The Crofting Commission have, in statements and guidance issued surrounding ‘The Common Clearances‘, stressed the importance of funds received by Grazings Committees requiring to be immediately paid out to shareholders. As indicated in previous posts on this blog examples of the “nonsensical” and “totally impractical” stance by the Crofting Commission have been given by Donald Macsween on his blog Air An Lot. A comment from Donald Murdie today on the Crofting Law Blog gives more practical examples of the need for funds to be maintained for the benefit of the common grazings. Still not cleared things up re grazings regs saying to maintain a grazings fund. For example, we get £10 for island rent which would mean spending £22.55 to send out cheques of 24p each!! Indeed. If you were to follow Crofting Commission stipulations who would meet the deficits that could arise in Common Grazings bank accounts? Another question that the Crofting Commission are unlikely to answer in a hurry. This entry was posted in Common Grazings, Crofting Commission and tagged Air An Lot, Common Grazings, Common Grazings Funds, Crofting Commission, deficits, Donald Macsween, Donald Murdie, Grazings Committee, Rebecca Hutton, shareholders, Twitter on May 5, 2016 by Brian Inkster. Will any crofters be at a meeting that no one knows anything about? The Commission wish to reassure shareholders that it is committed to assisting all common grazings committees and clerks to self-regulate within the provisions of crofting legislation and will work with them to do so. To support this, it is important that all shareholders have the fullest information about the differing roles and duties of the grazings committee and the grazings clerk. The committee are responsible for managing the rights of all crofters within the common grazings in accordance with their own, approved regulations. The role of the clerk is to receive and pay-out all shareholders monies in accordance with their approved regulations as set out in the Crofting Act 1993. With this in mind the Commission has arranged to meet with the shareholders in both Upper Coll and Mangersta Common Grazings in mid-May to advance the process which has already begun in these townships. The stated commitment to assist all common grazings committees and clerks to self-regulate within the provisions of crofting legislation and the statement that they will work with them to do so does not sit well with the summary dismissal of two grazings committees without any apparent attempt to do that. The role of the clerk is not simply “to receive and pay-out all shareholders monies in accordance with their approved regulations as set out in the Crofting Act 1993”. I will look at this in more detail in a future post. For now I would refer you again to Donald Macsween’s very astute blog post on the “nonsensical” and “totally impractical” stance by the Crofting Commission on the financial management of grazing funds. Apparently the Crofting Commission “has arranged to meet with the shareholders in both Upper Coll and Mangersta Common Grazings in mid-May”. This has come as news to shareholders in both townships who have not, as yet, actually been contacted by the Crofting Commission concerning such a meeting! We wish it to be known that we have heard absolutely nothing about any meeting, far less agreed to participate in it. If and when the Commission proposes a meeting, we will take legal advice on the appropriateness of attending. We can only express astonishment at the continuing unprofessional and misleading behaviour of the Crofting Commission. One would have thought that the basic courtesy of consulting about a possible meeting and the form it might take would not have been beyond them, before making a public announcement about a meeting nobody else knows anything about. The purpose of the meeting which no one knows anything about is apparently “to advance the process which has already begun in these townships”. That sounds very much like there is no going back on the part of the Crofting Commission and the intention is to finish what they have started even if it is illegal. Calls made from various quarters, including politicians and the Scottish Crofting Federation for the Crofting Commission to explain their actions and/or for the committees in both instances to be reinstated, appear to be falling on deaf ears. The Scottish Crofting Federation has requested the Scottish Government to carry out “a full review of the situation as soon as possible before the damage is irreversible”. Perhaps the Scottish Government needs to send a representative to the Crofting Commission’s meeting which no one knows anything about if they can manage to find out the date, time and location thereof. This entry was posted in Common Grazings, Crofting Commission and tagged Common Clearances, Common Grazings, Common Grazings Committee, crofters, Crofters (Scotland) Act 1993, Crofting Commission, crofting regulation, Donald Macsween, Grazings Clerk, Grazings Committee, Mangersta Common Grazings, Mangersta Common Grazings Committee, shareholders, Upper Coll Common Grazings, Upper Coll Common Grazings Committee on May 4, 2016 by Brian Inkster.